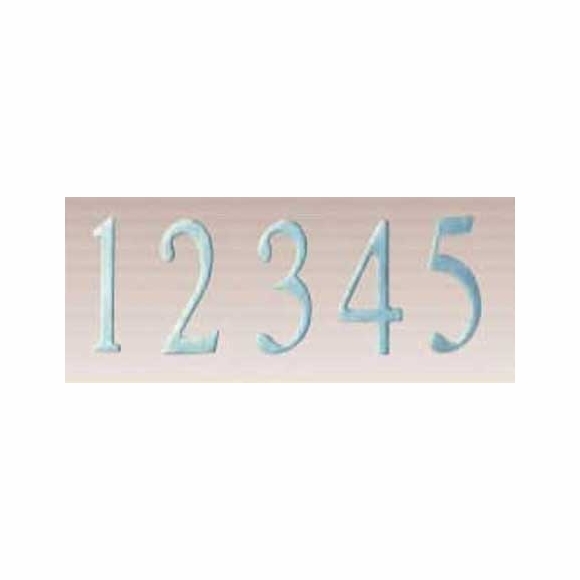 Self Adhesive 3" House Numbers Stainless Steel - - exterior grade 1/8" thick self-adhesive numbers to personalize a ladder rest sign or curbside mailbox. Also suitable for general use wherever you need durable 3" numbers. Please order one number at a time. Use the Qty box for multiples of a specific number. We do not accept returns on numbers. These numbers fit the ladder rest and blank sign shown at the top of Related Products. Also referred to as our stick on house numbers.